The debate surrounding who is the greatest cricketer of all time dosen’t look like ending anytime soon. Comparison between the various stalwarts of the game continues to remain a major topic of discussion among fans and cricket experts from around the world. The primary names who been subjected to such comparisons have been Virat Kohli and Sachin Tendulkar. Sachin Tendulkar has been undoubtedly been India’s most decorated batsman of all time but current Indian skipper has been giving him a tough competition with his performances over the last couple of years. Despite having taken retirement from the game six years back, Sachin remains the top scorer in both Tests and ODIs as well as the holder of most centuries in both the formats. Kohli on the other end already has over 10,000 runs to his name in the 50 over format and 64 international tons at the age of 30. Former Indian skipper MS Dhoni is the only other name that comes into mind as far as the GOAT debate is concerned. While Dhoni’s stats with the bat may not be as attractive as Tendulkar or Kohli, his impact on the game cannot be undermined. Dhoni is the only captain in the world to have won all three major ICC Titles and is among the handful of cricketers to have scored more than 10,000 runs in ODIs. Former Sri Lankan skipper Mahela Jayawardene has given his take on the better player in Virat Kohli, MS Dhoni and Sachin Tendulkar. Jayawardene, who has played against all the three stalwarts of Indian cricket, hailed Sachin Tendulkar for carrying the expectations of billions of people on the field for such a long period of time. He mentioned that Dhoni had been doing the same for quite a while and it was upto Virat to carry the same expectations on his shoulders for the next generation. “It’s not just about the ability Virat has but to understand the way to handle pressure not just on the field but also off the field and the expectations. We grew up with Sachin who had to perhaps experience the same thing. And for the next generation, it’s probably on Virat’s shoulders, with MS Dhoni carrying on for a while. Virat has a good group of guys around him as well. If you ask the Indian fans they would want Virat to win the game and that is something he has managed to control really well,” Jayawardene told India Today. 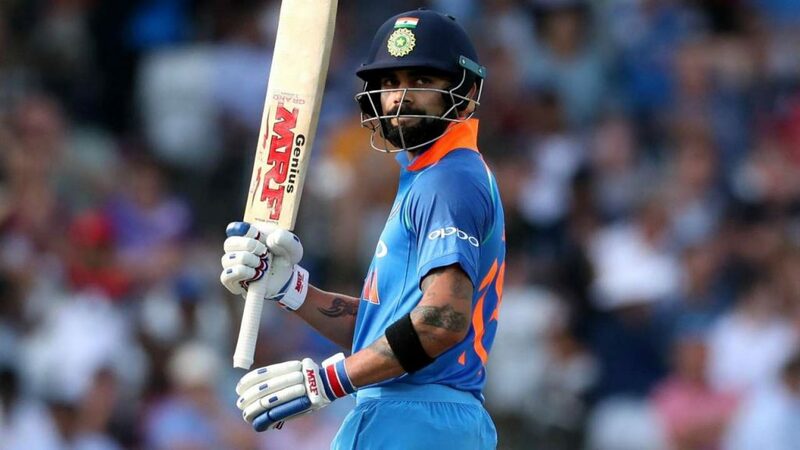 The former cricketer heaped special praise on Virat Kohli, lauding him for the way he carried himself both on and off the field. Jayawardena went on to mention that captaining the side was not an easy thing to do and Virat had managed to understand his role as captain in a very short period of time.